If you are thinking of selling, buying or renting, or if you are planning a holiday, Dodd & Page has the largest range of properties available on the south coast of the Fleurieu Peninsula. Established in Port Elliot in 1922, this local family-owned business specialises in all facets of coastal real estate. At South Coast Realty we pride ourselves on our hand-picked team of real estate specialists. Although we might be the newest real estate firm on the South Coast, our team has extensive local experience in the real estate industry and their new collaboration has energised them to get results for their vendors, purchasers, landlords and tenants. Combining our varied fields of expertise in sales and property management, we are able to service all properties of all price ranges and types. 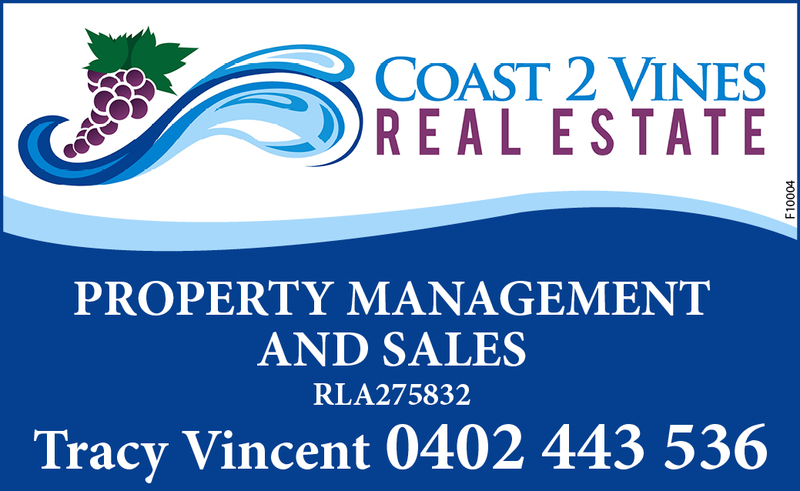 Coast 2 Vines Real Estate is here to exceed customer expectations when it comes to all aspects of real estate on the South Coast. Our aim is to provide customers with accurate and up to date information and advice while using the latest technology to make property management, buying and selling an easier, faster and cost effective transaction. 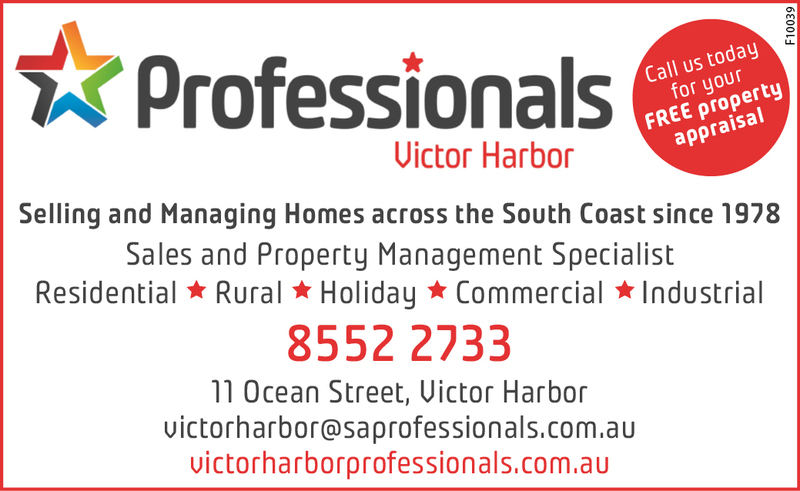 Selling and managing on property on the South Coast since 1978, the Professionals Victor Harbor are your No.1 choice when it comes to real estate. Having negotiated over 4000 property sales we have the experience and energy to achieve the highest possible price for you property in any given market place. 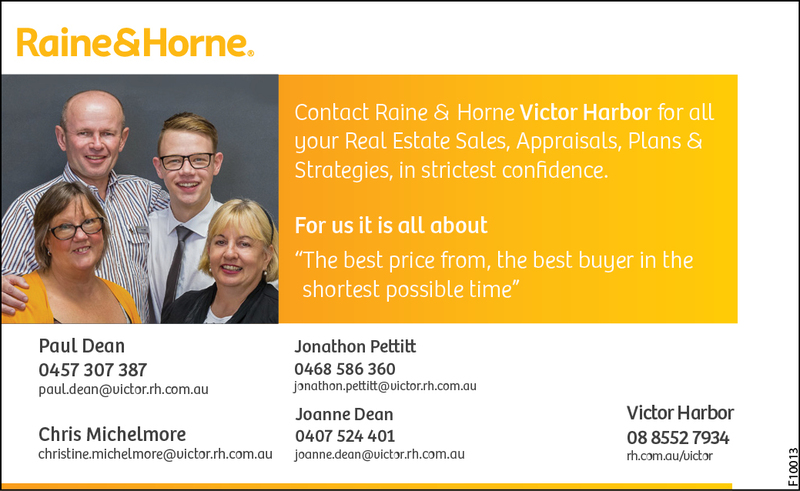 Raine & Horne Victor Harbor are a Successful and Dedicated Real Estate Team on the South Coast of South Australia. With Paul & Joanne at the helm along with Jonnie and Chris they have a Proven and Phenomenal Track Record with Enviable Results Overseas and in all South Coast suburbs including, Victor Harbor, Encounter Bay, McCracken, Hayborough, Chiton, Port Elliot and Middleton.